Some days after I´ve dropped my Mustacheese product blog on this site, I´ve received a message from Sebastiano on Instagram. Sebastiano is the owner of Italian Fingerboards. He wrote me a message because of my thoughts about the fingerboard scene in Europe and in Italy. 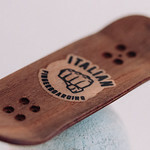 As some of you might know, Italy had a strong fingerboard scene back in the days. 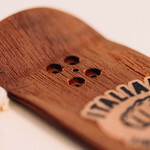 I´m really happy about the fact, there are still some fingerboarders left in Italy. In these hard days for fingerboarding the scene is getting much smaller in every country, but a little core will hopefully survive in every country of this planet, sharing the love of fingerboarding. Maybe every fingerboarder need something like a push to come back!? The talents are out there! 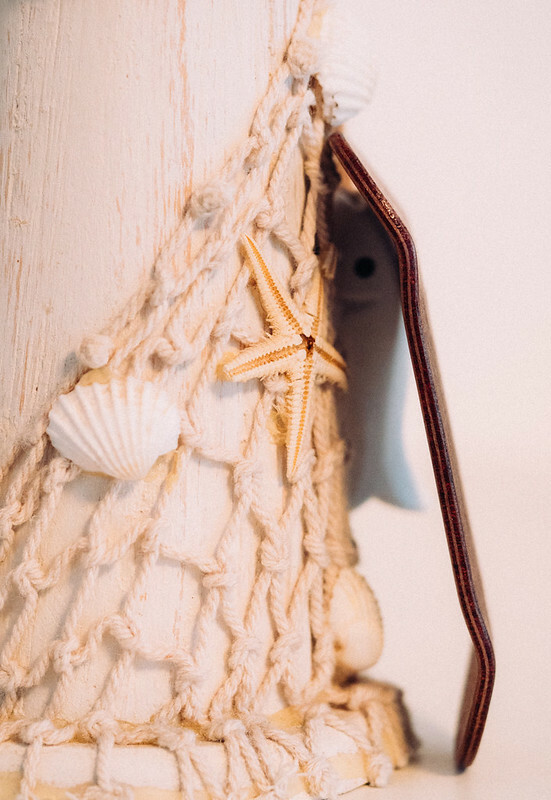 Italian Fingerboards was born in 2018. So this brand is quite new to the scene. 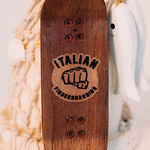 Sebastiano had one aim for this brand: giving fingerboarding in Italy a voice on the international scene. In Italy it seems like a new community is growing. 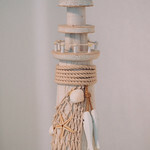 There are new events and new fingerboarders show up. To push the new community, Sebastiano decided to start making decks. 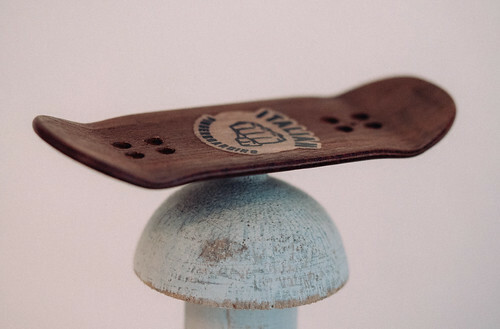 He just wanted a fingerboard which is handmade in Italy with love and passion. Consider Italian fingerboarding not only as a brand or as decks, consider it as a new and fresh air for a scene. About the deck. 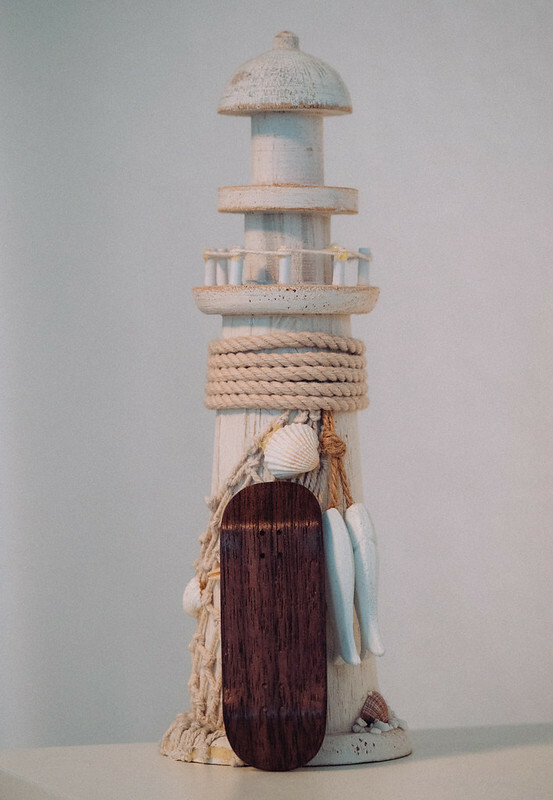 This deck is made from exotic woods from Italy. The bottom ply has a super nice exotiv brown wood and all the plies are brown too. Like deep nice chocolate.The deck is about 34mm wide and the countersinks are deep, straight and clean. The nose of this deck has some square shape and the tail is a normal popsicle shaped one. The shape is all over medium and it is pressed clean. Nothing warped and the sanding-job is fine. This is “just” a solid, good, clean, up to date fingerboard. So exactly what you need. “Pushing the scene foward” is the right sentence for this blank deck. Italian Fingerboards offers normal blank decks like this one for only 14,90 € including shippment (worldwide), stickers and a sheet of tape. Thats a super duper hyper fair deal for a blank board! THX a lot Sebastiano for you patience and these nice fingerboard decks!